Washington, D.C. – Republican Study Committee Chairman Steve Scalise today was joined by 42 of his colleagues in opposing the confirmation of Thomas Perez for Secretary of Labor. In a letter to the Senate, Scalise highlighted Perez’s “abusive and alarming record” and urged the Senate to oppose his pending nomination. Perez testified today in the Senate’s Health, Education, Labor, and Pensions Committee. Labor secretary nominee accused of cutting 'secret deal,'. . . 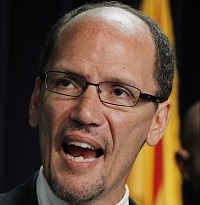 Tags: Obama, nominee, DOL, Labor Secretary, Thomas Perez To share or post to your site, click on "Post Link". Please mention / link to the ARRA News Service. Thanks! by Phyllis Schlafly, Eagle Forum: The word comprehensive is usually attached to current references to immigration reform, but the Gang of Eight’s bill is stumbling over reform of guestworkers. That’s the biggest bone of contention between pro-amnesty and anti-amnesty folk. The highly paid lobbyists assigned to this issue are split. Big business interests (chanting “let the market decide”) are trying to bring in as many low-paid workers as possible, while the unions want to save jobs for their members and votes for the Democrats. H-1B visas are capped at 65,000 and supposed to be for jobs that require technical expertise (scientists, engineers, computer programmers) and be used when U.S. citizens are not available. Business welcomes the crush of applicants from Indian body shops (i.e., placement agencies), and the top ten users of H-1Bs are offshore outsourcing firms. Asians make up half of San Jose’s technology workforce, according to November Census Bureau data. That’s a sharp rise from ten years ago when it was about 39 percent. Employers prefer to hire foreigners because they are paid less, can’t quit, and are treated like indentured servants. Guestworkers are supposed to go back home when their visas expire, but we have no guarantee that they depart. The wage differential is significant. In New York City, the prevailing wage for an entry-level computer systems engineer is $68,370, but is $120,037 for a fully competent worker. The foreigners are usually hired as entry-level. The guestworker system explains why college students tell me they have been opting out of engineering, and switching to a business major. American student enrollment in graduate Science and Engineering fell 10 percent after 1993, while enrollment of foreigners rose 26 percent. Estimates are that at least 50 percent and as many as 70 or 80 percent of our nation’s agriculture workers are here illegally. Guestworker shepherds brought in from Peru to tend U.S. sheep just “disappeared” to hunt for better jobs. According to Senator Jeff Sessions’ (R-AL) “10 Questions for the Gang of Eight,” the U.S. allows 700,000 guestworkers to enter our country each year. He estimates that the Gang’s proposal will increase the number to over a million a year, not counting the legalization of those now illegally in the U.S. and anticipated future immigration. Business is now demanding a large new “lesser-skilled” guestworker category to take retailing and janitorial jobs. Economist Jared Bernstein, in his book Crunch: Why Do I Feel So Squeezed? accuses the guestworker program of being a power play by the business class and a disruption of the free market which actually shifts wealth to the powerful. The free market is supposed to let prices and wages rise whenever there is a shortage, but that doesn’t happen when our government artificially nullifies any shortage by bringing in more lower-paid workers. H-4 visas are given to spouses of all classes of H-visa holders (H-1B, farm workers (H-2A), and non-agricultural unskilled workers (H-2B). There were 74,205 H-4s issued in 2011, and it’s been estimated that the total population of H-4s (which is not counted by the government) is roughly a quarter million. When President Obama took an unexpected question from a woman whose engineer husband is unemployed, Obama replied, “Industry tells me that they don’t have enough highly skilled engineers.” Census Bureau data show that there are 1.8 million U.S.-born engineers under age 65 who are unemployed or not working as engineers. Other industries are using H-1B visas for jobs for which there is obviously no shortage of Americans, such as teachers. Prince George’s County in Maryland was discovered to have 10 percent of its teaching staff working with H-1B visas, and the Muslim charter schools imported hundreds of teachers from Turkey on H-1B visas. The House Subcommittee on Immigration Policy discovered that H-1B visas were even used to hire fashion models, dancers, chefs, photographers, and social workers. The Government Accountability Office found that the government approved more than a million H-1B visas to foreign nationals from 13 “countries of concern” (withholding the countries’ names for security reasons). And don’t forget J-1 visas that take summer jobs which have traditionally been so important to young people, giving them an opportunity to learn the work ethic. Now summer jobs go to seasonal hiring of foreign students. Tags: Phyllis Schlafly, Eagle Forum, comprehensive reform, guest workers, immigration reform To share or post to your site, click on "Post Link". Please mention / link to the ARRA News Service. Thanks! There must be a million words a day written, printed, broadcast, and on the Internet about Islam, Islamists, jihadists, Arabs, and others of that persuasion. I do not call it a religion anymore because I have concluded it is essentially a cult around the “prophet” Mohammed and one divided into Shiites and Sunnis who have been in conflict with one another ever since shortly after his death, based on the claims made by his relatives of his to be the caliph. This has been going on from just prior to Mohammed’s death in 632 A.D.
Much, if not all, of the world’s current problems with Islam stem from its core belief that a worldwide caliphate must be established despite the billions of people who are not Muslim and have no wish to be. Americans—and I suspect most non-Muslims—have a lot of problems trying to understand Islam which, ironically, brands itself as a “religion of peace” at the same time the headlines pour forth about the latest Islamist inspired atrocity. Islam is now best known for suicide-homicide bombings, 9/11, attacks on Christians throughout the Middle East, Africa, and elsewhere, and, of course, the general mayhem seen these days in Syria, Iraq, Afghanistan, Pakistan, et cetera. Setting aside the fact that not all Muslims are bloodthirsty maniacs and many are as secular as they dare to be in Muslim nations, the deeds of a dedicated group of fanatics are sufficient to put the majority in fear of their own lives as well as spell trouble for everyone else. As always, my crystal ball is cloudy when it comes to discerning events in the Middle East and Africa where the trouble is most manifest. It would appear that the vast resources of our defense and intelligence community are unable to determine who in the Syrian insurrection are the alleged good guys are and who are al Qaeda. I am inclined to think they are all bad guys, whether it is Bashar Assad whose Alawite tribe is fighting to retain control of Syria or those who want to replace them. The current toll is said to exceed seventy thousand. It all comes down to what tribe and/or sect to which you belong in the Middle East. The other primary way to understand the region and the Islamic Maghreb of northern Africa is the fact that only dictators and monarchs rule the nations there. If something passing for a democratic republic exists as in Iraq or Egypt, the elected head man almost always displays an eagerness to lock up any political opposition or kill them. At the very least, Saddam Hussein made no secret that he was a pathological maniac capable of atrocities. It was the source of his power. If he had been content to just take the money from Iraq’s oil fields he would be around today, but he engaged in an eight-year-long war with Iran and then invaded Kuwait, thereby letting every other Gulf nation know they were on his shopping list. In retrospect, the U.S. had little choice than to invade, not once, but twice to rid the region of Saddam. We need Mideast oil and, if we just drilled for our own, we would not. Back to my crystal ball with a few observations—I won’t call them predictions because all things Islamist belong in an insane asylum, defying predictions. # Syria will continue to be a place of appalling slaughter and neither the U.S. nor other nations will get directly involved. What aid is provided will be either covert or humanitarian. Whatever the final outcome, it will likely slop over into Lebanon. Vietnam taught the U.S. to stay out of civil wars and attempt to influence them through diplomacy, sanctions and cover methods. The lesson we did not learn was to deliver brief massive destruction and leave. 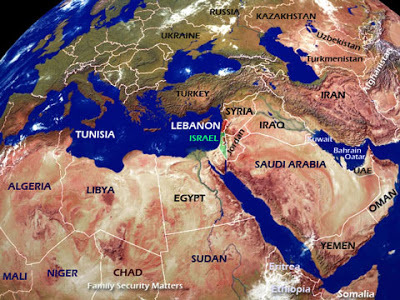 # Jordan is reportedly in danger of being destabilized which is bad news for both Israel and the United States. Its monarchs have been good allies. The Muslim Brotherhood is a problem there and everywhere. # Pakistan has its problems with the Taliban and other fanatics. Its “democracy” has always been an on-again, off-again affair, but politics there is essentially feudal. There are parts of Pakistan, the northwest, that the government fears to go. Whose side are they on? Well, bin Laden was living up the block from its military academy when the U.S. whacked him. # Afghanistan could slide into the hands of the Taliban as it did pre-9/11. They measure time differently there. President Hamid Karzai is likely to take the millions he has skimmed and live in comfort in Europe if he is not assassinated first. Officially a republic, whatever progress the nation has made was bought and paid for by Americans. When the last U.S. soldier departs, there is no predicting what will occur, but it is not likely to be an outcome the U.S. likes. # Iraq is the scene of constant bombings as various factions seek to destabilize the largely Shiite government. Essentially a satellite of Iran, it is unlikely the Iranians want any instability there while they are heavily involved in the Syrian conflict, supporting Assad. # Egypt is truly a nation in turmoil as the more secular elements of its population seek to oust the Muslim Brotherhood despite what were deemed fair elections. Islamists feel compelled to impose all manner of strictures on Muslims by way of controlling them and many Egyptians are disinclined to accept that. Christians like the Copts are encountering a lot of persecution. You’ll have to ask Obama why the U.S. is sending tanks, planes, and tear gas to the present government. # Turkey has become an Islamist state after having embraced Western secularism after the end of World War I. It creates problems for everyone else in the region. Why people vote for their own enslavement reveals the control that Islam has over their minds. # Mali was in the news because of an al Qaeda attack, but the French took swift action and a coalition of European nations have intervened in time to put that evil genii back in the bottle for a while, training up a Mali military and installing a provisional Mali government. # Libya is currently ungovernable thanks to the presence and threat of al Qaeda whose forces always move into a nation in flux to exert its influence. Gaddafi is beginning to look good in retrospect. # Al Qaeda, despite what the Obama administration says, is far from defeated, but neither is this non-state entity capable of more than causing trouble wherever they are. The intelligence forces of Western nations and in some Middle Eastern ones are allied around their destruction even if they have to do it one jihadist at a time. # Iran is nothing but trouble. Run by a handful of ayatollahs and their sycophants, Iran cannot be permitted to acquire nuclear weapon status and capability. If that occurs, all bets are off. Prayers are offered daily in the West for a regime overthrow. Until then, its support for the Palestinian Hezbollah and Hamas organizations guarantee that no peace will ever be achieved with Israel. Arabs—who waged several wars against Israel and lost them all—have decided that they are the victims and not the agents of their own fate in that conflict. It is sufficient to say that we will be reading headlines for decades to come resulting from the madness that possesses Muslim nations. 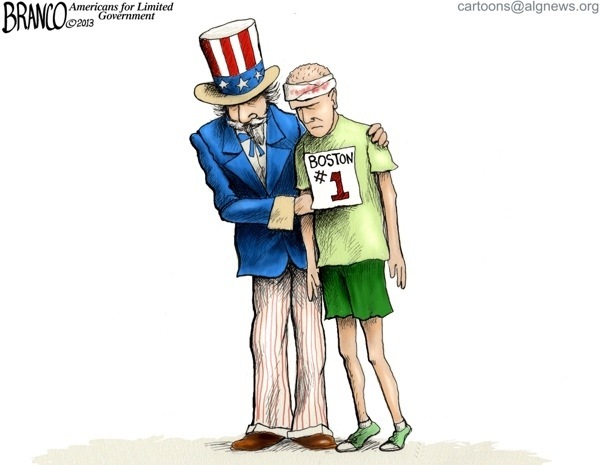 Tags: Boston, marathon bombers, bomb, al Qaeda publication, Inspire, Islam, Islamist, Crystal Ball To share or post to your site, click on "Post Link". Please mention / link to the ARRA News Service. Thanks! 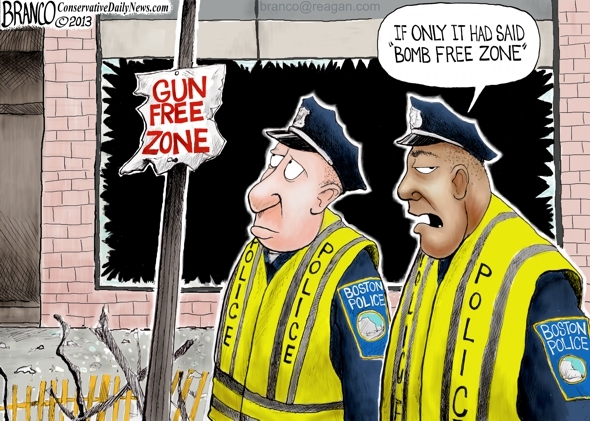 Tags: Boston signs, gun free zone, Sign of the Times, editorial cartoon, AF Branco To share or post to your site, click on "Post Link". Please mention / link to the ARRA News Service. Thanks! by Howard Rich: Exploration and discovery are among our most fundamental human characteristics — setting us apart from the animals and chronicling our ongoing evolution as a species. They are also drivers of our innovation and prosperity — creating technologies and economies that help sustain our society. From Archimedes original “Eureka!” moment regarding water displacement to the powerful handheld smartphones that currently manage so many aspects of our daily lives, the imaginative process spawns new discoveries and fresh innovations every day. But just because something has a stimulating effect on our minds — and potentially our wallets — doesn’t mean taxpayers should subsidize it. And just because there are a myriad of acknowledged practical applications derived from government funded research doesn’t mean these discoveries wouldn’t have been made — and made faster and cheaper — without government interference. Nowhere in the United States Constitution is scientific research listed as being under the purview of the federal government — yet following World War II the decision was made to start pouring tax dollars into it regardless. “New frontiers of the mind are before us, and if they are pioneered with the same vision, boldness, and drive with which we have waged this war we can create a fuller and more fruitful employment and a fuller and more fruitful life,” Roosevelt wrote. In the summer of 1945 the agency’s director Vannevar Bush issued a report firmly establishing scientific research — “the opening of new frontiers” — as a new responsibility of the federal government. “Without scientific progress the national health would deteriorate; without scientific progress we could not hope for improvement in our standard of living or for an increased number of jobs for our citizens; and without scientific progress we could not have maintained our liberties against tyranny,” Bush wrote. Bush’s statement may indeed be accurate, but does that make it either proper or efficacious for government to participate in this process? No — yet over the intervening decades exploration and discovery have clearly become top public sector priorities. For example from 1980-2011, data shows federal spending on non-defense related “research and development” soared by 49.5 percent after adjusting for inflation. In his FY 2014 budget — belatedly released earlier this month — Barack Obama proposed spending $31.3 billion on the National Institutes of Health (NIH), $17.7 billion for the National Aeronautics and Space Administration (NASA) and $7.6 billion on the National Science Foundation (NSF). Billions more will be spent on research and development at other agencies — including the U.S. Department of Health and Human Services (DHHS), the U.S. Department of Energy (DOE) and the U.S. Department of Commerce (DOC). All told, Obama’s budget proposal would increase federal spending on non-defense related research and development to a record $69.6 billion — up 9.2 percent from FY 2012 levels. Included under the federal research umbrella are unnecessary expenditures large and small. Last year, for example, the DOE spent $100,000 on a smartphone app for household energy consumption — even though at least five such apps already existed. Meanwhile researchers at San Diego State University and the University of California Davis spent part of a $325,000 grant building a “Robo-Squirrel” (part of an effort to prove whether tail wagging was a deterrent to rattlesnake strikes). 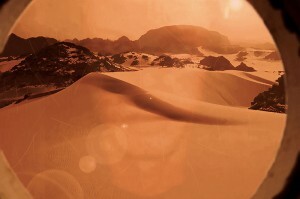 Meanwhile $1 million was spent cooking up a “Mars menu” for future astronauts — even though the space program currently lacks the capability for manned spaceflight. What do any of these projects have to do with core government functions? Absolutely nothing. Then there are the ghosts of research boondoggles past — like the infamous “Superconducting Super Collider,” which was cancelled in 1993 after the federal government sank $2 billion into the project ($3.1 billion adjusted for inflation). Also let’s not forget the never-constructed Clinch River Breeder Reactor, a nuclear energy project terminated in 1983 after taxpayers invested $1.7 billion ($3.9 billion adjusted for inflation). Of course when it comes to taxpayer-subsidized “innovation,” success is every bit as costly as failure. That’s because even when government intervention in research and development is “working,” it distorts science as well as the marketplace — separating taxpayers from billions of dollars annually with no accountability and no guarantee the breakthroughs achieved couldn’t have been completed faster (and cheaper) had they been entrusted to the private sector. And that’s the great unknown cost — the extent to which America’s current “innovation gap” is the result of the public sector crowding out the work of the free market. Policymakers looking to trim future deficits — and spark a revival in innovation and advancement — ought to strongly consider getting government out of the research business and reestablishing the wall between science and state that existed prior to the post-World War II era. Howard Rich is the chairman of Americans for Limited Government and his article first appeared on Forbes.com. Tags: Howard Rich, Americans for Limited Government, government spending, studies, trips to mars, robosquirrels To share or post to your site, click on "Post Link". Please mention / link to the ARRA News Service. Thanks! Phil Kerpen, Contributing Author: What if you had to choose between making insurance more affordable for Americans with pre-existing conditions or funding lobbyists and political hacks? That’s the decision the House will face when it considers H.R. 1549, the Helping Sick Americans Now Act, sponsored by Rep. Joe Pitts of Pennsylvania. It should be an easy choice. Earlier this month, Susan Zurface of Hillsboro, Ohio testified before Rep. Pitts’s health subcommittee. “With my newly diagnosed illness, I was unable to find any health insurance coverage that would cost less than $350/month with a $10,000 deductible,” the chronic lymphocytic leukemia patient said. The federal Pre-existing Condition Insurance Plan (PCIP) was supposed to be there for people like her, but the administration closed it to new enrollees on March 2, citing a lack of funding. The news stunned a woman identified by the Washington Post as Joyce, a 61-year-old Virginian with stage-four breast cancer, who saw the announcement and rushed to get her application in before the cut-off. I don’t know whether Joyce was able to make the deadline or not, but I do know there are an estimated 40,000 other sick Americans, including Ms. Zurface, who will not be able to enroll if the program remains closed. There is a simple solution. Secretary Kathleen Sebelius has transfer authority under the Patient Protection and Affordable Care Act (PPACA) to move money from the so-called Prevention and Public Health Fund (Prevention Fund) to the PCIP. If she chooses, she could use those funds to reopen PCIP enrollment and ensure that sick Americans with pre-existing conditions have access to the program. On March 5, House Republican leaders wrote a letter to President Obama urging him to reprogram those funds. Neither Obama nor Sebelius has responded or taken any action. Perhaps that’s because there are political incentives to keep the money where it is in the Prevention Fund, which is mostly in the business of doling out grants to activists, lobbyists, and P.R. pros to agitate for “public health” priorities like tobacco restrictions and anti-obesity campaigns including soda taxes, fast food restaurant bans, and changes to zoning codes to block convenience stores. These Centers for Disease Control (CDC) grants, originally funded by the stimulus bill and continued via the Prevention Fund under PPACA, have been proven to include at least seven instances of directly funding lobbyists – a violation of federal law. When the program was funded by the stimulus it was subject to tough transparency requirements that no longer apply, so abuses are even more likely now. 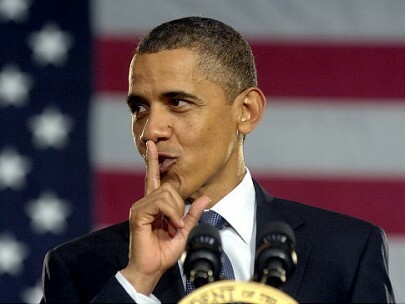 And, rather than committing to crack down on illegal, federally-funding lobbying, President Obama has proposed loosening the legal restrictions; his budget would strike from the law language that prohibits Prevention Fund grants from being used to promote tax hikes, restrictions on consumer products, and gun control; the full array of left-wing political activism. At the PPACA bill signing, President Obama said: “Tens of thousands of uninsured Americans with preexisting conditions… will finally be able to purchase the coverage they need. That happens this year.” Yet now, for the rest of this year, it isn’t happening. The Helping Sick Americans Now Act would simply force Obama and Sebelius to do what they should have already done: transfer funds from the Prevention Fund to PCIP. Instead of sending out grants to left-wing activists to raise our taxes and restrict our freedoms, we could help 40,000 sick Americans with pre-existing conditions get access to insurance. If PPACA advocates oppose H.R. 1549 and opt to fund lobbyists instead of sick people, voters might reasonably conclude that PPACA has always been more about rewarding political allies than solving the pre-existing condition problem. Tags: Phil Kerpen, lobbyist v, sick people, Helping Sick Americans Now Act, H.R. 1549, Patient Protection and Affordable Care Act, PPACA, Pre-existing Condition Insurance Plan, PCIP pre-existing conditions, government healthcare, mandates, Secretary Kathleen Sebelius, DHHS, proposed To share or post to your site, click on "Post Link". Please mention / link to the ARRA News Service. Thanks! Dr. Bill Smith, Editor: I often share articles by Bethany Monk because I agree with most of the positions in CitizensLink articles. This time I am not in agreement with presuming that "some" conservatives pushing the referenced bill are not pushing amnesty. While there may be a few "conservative advocates," there are even more non-conservatives and liberals involved. I do agree with her added link titled "Read The Bill." I am also concerned about the enacting regulations that will be written by the present administration. Failure of DHS and DOJ to enforce all immigration laws and the travesty of "Fast and Furious"gun running by the DOJ has created doubt and an unwillingness to trust the present administration. Seems to me that any bill claiming to be "comprehensive reform" for any topic deserves to be tabled for review for minimum of 30 days after it is introduced before it is voted on. Consider the mess that the comprehensive health care reform pushed through by democrats after Speaker Pelois told her colleagues, "We will have to vote on the bill before we can know what is in it." Insanity is repeating this same process. The image to the right is shared by me and is not from the original article. by Bethany Monk, CitizensLink: The immigration bill introduced by Senators Wednesday is a far cry from amnesty, which some have erroneously claimed. Sen. Charles Schumer, D-N.Y., introduced the 844-page bill. Schumer is a member of the Senate’s “Gang of Eight” — four Democrats and four Republicans who drafted the legislation. Border Security Plan: DHS must create, fund and initiate a border security plan (within 6 months). Border Fence Plan: DHS must create, fund and initiate a border fence plan (within 6 months). Border Security Metrics: DHS must achieve 100-percent border awareness and at least 90-percent apprehension rates in high-risk sectors of the border (within 5 years). Border Commission: If DHS fails to achieve the previous provision, a commission of border state officials and stakeholders is required to create a plan to achieve 100-percent border awareness and at least 90-percent apprehension rates in high-risk sectors (within 10 years). Employment Verification: Universal E-verify must be implemented within 10 years. Stop Visa Overstays: Visa exit system must be implemented at all international airports and seaports (within 10 years). Sen. Marco Rubio, a member of the Gang of Eight, also refutes claims that it amounts to amnesty. Read a one-page summary of the bill. Read Frequently Asked Questions about the legislation. Tags: conservative leaders, amnesty, illegal immigration To share or post to your site, click on "Post Link". Please mention / link to the ARRA News Service. Thanks! Tags: Max Baucus, Montana, big train wreck, Obamacare, skyrocketing cost, free stuff, America, editorial cartoon, William Warren To share or post to your site, click on "Post Link". Please mention / link to the ARRA News Service. Thanks! 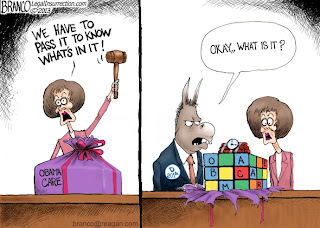 Tags: Obamacare, then and now, ticking time bomb, rubik's cube nightmare, editorial cartoon, AF Branco To share or post to your site, click on "Post Link". Please mention / link to the ARRA News Service. Thanks! 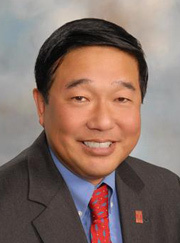 by Jan C. Ting, Contributing Author: Our immigration system is not broken. 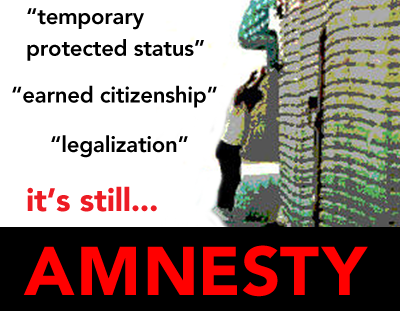 We don’t need, and Congress shouldn’t enact, amnesty. Both my parents were immigrants. All Americans are either immigrants or descendants of ancestors who came from somewhere else, including Native Americans. We should all respect and admire immigrants. But, that’s not the question. The question is: How many? Specifically, should we enforce a numerical limit on immigration to the U.S., or alternatively, should we allow unlimited immigration, as we did for our first century? It’s a binary choice: An enforced limit or no limits. Our failure and inability to clearly choose is at the root of our dilemma over immigration policy. We keep searching for a third way, but there isn’t one. I respect those who openly advocate for unlimited immigration to the U.S. Open borders is an intellectually coherent, defensible position. Different arguments can be made for unlimited immigration including philosophical, religious, historical, utilitarian, libertarian, and social justice. But, it is neither intellectually coherent nor defensible to argue that we should retain legal limits on immigration, but we don’t have to enforce them, and we can instead periodically grant amnesty to immigration law violators whenever they attain a large number. If we’re going to allow unlimited immigration anyway, why pay for the expensive window dressing of immigration enforcement? The U.S. immigration system is the most generous in the world, providing each year more green cards for legal permanent residence with a clear path to full citizenship than all the rest of the nations of the world combined. But, to enforce the numerical limitation, U.S. immigration law provides that immigration violators can be removed from the U.S. after being found inadmissible or deportable. The enforcement provisions of U.S. immigration law are essential to maintaining the limit on immigration. We are told our immigration system is broken, the main evidence for which is the presence of 11 million illegal immigrants. Actual causes include ineffective employer sanctions, the mistaken belief that the 1986 amnesty would “solve” our illegal immigration problem instead of attracting more illegal immigrants, and ineffective management and political interference in immigration enforcement. Those considering illegal immigration to the U.S. weigh costs, like the risks of getting caught, against benefits of a better life. To get more illegal immigration, we should lower costs, through discretionary prosecution of violators, and increase benefits, through amnesty. Conversely, to reduce the number of illegal immigrants, we should increase costs, through more effective enforcement, and lower benefits through more certain removal from the U.S.
Border enforcement alone will never suffice to enforce an immigration limit. Would-be law violators have to be deterred from making the attempt through proof that costs outweigh benefits. Why is enforcing an immigration limit hard? First, there’s a constant argument over what the limit should be. And within the limitation, are we admitting the right kind of immigrants or not? Do we need more high skill or low skill labor? That’s a permanent, continuing fight. The hardest thing about enforcing a limit on immigration is requiring us to say no to people who remind us of our ancestors, who are neither criminals nor national security threats, who just want to work hard for a better life. And if they come in violation of our limit, we have to deport them to raise the costs of illegal immigration and deter other would-be illegal immigrants. Can we do that? If not, we should just declare the borders open to all hard-working immigrants like our ancestors. We can then save the billions in taxpayer dollars spent trying to enforce immigration limits. What we can’t do is keep the limits, but not enforce them against anyone but criminals and national security threats. We can’t keep spending money on enforcement, but then give amnesty all who come illegally. That’s a formula for permanent dysfunction. The alternative to the false fix of “comprehensive immigration reform” is a series of smaller reforms, continuing review and adjustments to our immigration limits, and more certain enforcement of whatever limits on immigration we enact. We must banish the illusion of a big,one-time “fix”of our immigration system, the idea we can get it off our plates once-and-for-all, and never have to deal with it again. We will be dealing with immigration forever. Get used to it! © 2013 Jan Ting is a Professor of Law at Temple University’s Beasley School of Law. He has a M.A. University of Hawaii and J.D. Harvard Law School. He is a former Assistant Commissioner, Immigration and Naturalization Service, U.S. Department of Justice. He is a contributing author to the ARRA News Service. He can be reached at janting@temple.edu. The article is based a summary of his testimony before Committee on the Judiciary of the U.S. Senate on March 20, 2013. Tags: amnesty, illegal immigration, dysfunction, Jan C. Ting To share or post to your site, click on "Post Link". Please mention / link to the ARRA News Service. Thanks! Americans have already tightened their budgets. They can’t afford for Washington to take even more of their money to pay for even more wasteful spending. We’re not in this mess because Washington taxed too little; we’re in this mess because Washington spent too much. To create a healthy economy, we need to go line by line through the budget and eliminate Washington’s wasteful spending. Hardworking Americans shouldn't have to bailout Washington’s waste with a tax increase. It’s unfair for taxpayers to pay more so Washington can waste more. Raising taxes simply won’t solve our economic problems. It won’t put Americans back to work. It won’t do enough to reduce our debt. And it won’t create economic opportunity for everyday Americans. Until Washington can prove that it can spend Americans’ tax dollars efficiently, effectively, and accountably, Washington needs to get its hands out of taxpayers’ pockets. This has been tried before. We’ve seen that countries that pursue the so-called “balanced approach” – a combination of tax increases and spending cuts—tend to fail while countries that pursue spending cuts alone, succeed. According to Gallup, 78% of adults believe members of Congress should give back 5% of their salary because of the sequester (11% believe they should not). 79% believe they should have to give back 25% of their salaries (16% say they should not). According to the Economist, 54% of adults say the budget deficit is a very important issue to them. Also the Economist reports: 26% of adults think the economy is getting better, 33% think it is getting worse and 34% think it is stuck in neutral. Also, 77% of adults say the economy is a very important issue to them. 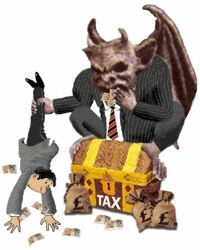 Tags: tax dollars, at work, polling data To share or post to your site, click on "Post Link". Please mention / link to the ARRA News Service. Thanks! ARRA News Service - The New York Times summarized today's rapid votes on several Gun Control amendments and bill as follows, "In rapid succession, a bipartisan compromise to expand background checks for gun buyers, a ban on assault weapons and a ban on high-capacity gun magazines all failed to get the 60 votes needed under an agreement between both parties. Senators also turned back Republican proposals to expand permission to carry concealed weapons and to focus law enforcement efforts on prosecuting gun crimes." Forty-one Republicans and five rural-state Democrats blocked legislation to impose broader background checks on gun purchases. Fifty-four voted for the legislation. Makes one wonder what Constitution the 54 supporters were reading. Must have edited out the words "shall not be infringed" from the second amendment. The Heritage Foundation stated, "The plan, proposed by Senators Charles Schumer (D-NY), Pat Toomey (R-PA), and Joe Manchin (D-WV), gives Attorney General Eric Holder the power to write countless regulations affecting gun laws." 2. It allows firearms dealers to do secret background checks on job applicants. Employers could run secret background checks on job applicants through the FBI’s National Instant Criminal Background Check System (NICS) database without obtaining consent from the job applicants. The bill would weaken existing privacy protection for mental health records in connection with the NICS system, “leaving only what privacy protection the Attorney General cares to provide,” Addington explains. These changes all affect law-abiding Americans—eating away at our civil liberties. Empowering the Attorney General to write more regulations will not avert future tragedies like we witnessed in Newtown. Tags: U.S. Senate, votes, gun control, background checks To share or post to your site, click on "Post Link". Please mention / link to the ARRA News Service. Thanks! “President Obama has signed over $1.7 trillion in tax hikes into law since taking office, and now is proposing another $1.1 trillion in new taxes in his budget, including his Buffett Rule tax hike, which will stifle job creation and economic growth,” said Thune. “President Obama continues to advocate for higher taxes on American families and small businesses, yet we just learned that his effective income tax rate for 2012 was only 18.4 percent, far lower than the 40 percent top marginal rate he’s advocated for small businesses and 30 percent effective rate he’s advocated for millionaires. Our legislation, which stands in stark contrast to the misguided approach of raising taxes on American families and small businesses owners, would make it even easier for taxpayers such as the president to pay what they believe is their ‘fair share.’”The Buffett Rule Act would allow a taxpayer filing a federal income tax return to donate an amount no less than $1 to be deposited into a fund at the U.S. Treasury dedicated to deficit reduction. The voluntary check box on the IRS form created by the Buffett Rule Act would read: “By checking here, I signify that in addition to my tax liability (if any), I would like to donate the included payment to be used exclusively for the purpose of paying down the national debt.” The Scalise, Thune Buffett Rule Act of 2011 passed the House unanimously last Congress, but was not considered by the Democrat-controlled Senate. Tags: Buffett Rule Tax, Representative Steve Scalise, Senator John Thune To share or post to your site, click on "Post Link". Please mention / link to the ARRA News Service. Thanks! Alan Caruba, Contributing Author: As Israel celebrates its independence on April 16 this year, it is worth pausing to consider that, while there are many miracles in the Bible, modern man has a hard time seeing a miracle when it occurs. Secular societies in the West have tended to make a gospel of science and many in those societies are doubtful that God plays a role in our lives these days. I am not a particularly religious person if one is judged by the usual indicators of belief, but I remain convinced that there is a greater power that plays its role through the life of the church, the synagogue, and the temple. I regard Islam as a warrior cult that has the trappings of religion, but which has posed a threat to all other religions since it began in 632 AD. It is the epitome of intolerance and devoted to submission. I have, however, a miracle for you and it occurred on May 14, 1948 when the ancient state of Israel was reborn, resurrected if you will, declaring its sovereignty after a long absence from the year c. 1020 BCE when the Jewish monarchy was established, first with Saul, then with David, and then with his son, Solomon. Around c. 1,000 BCE, David made Jerusalem his capital and Solomon built the first temple c. 960 BCE. Editor’s note: Yom Ha’atzmaut, Israel’s Independence Day, as cited above is the Gregorian date. The lunar-based Hebrew calendar, the fifth day of Iyar, causes the date to shift from year to year. In 70 AD when the Romans destroyed the second Temple and drove the Jews into exile one might have assumed that Israel was no more. The name “Palestine” was created by the Romans in an effort to eliminate the memory of Israel. How could a people with no physical nation survive? The answer is that the Jews had the Torah, the Old Testament and the body of wisdom that would be gathered in the Talmud. They had an indestructible faith in God. In the wake of the Holocaust during World War II, the Jews were like Job (13:15) who said, “Though He slay me, yet will I trust in Him: but I will defend my own ways before Him.” Christians focus on the individual sacrifice of Jesus whom they believe to be the son of God, but what of the six million Jews who died for having been God’s chosen people? I doubt that theologians want to grapple with that question. And neither do I. Believe what you will, but don’t discount miracles. “After the people were forcibly exiled from their land they kept the faith with it in all the lands of their dispersion, and never ceased praying and hoping to return to their land.” And they did! return. Jerusalem was once again the capital of Israel and, within hours, Israel was attacked by Egypt, Lebanon, Syria, Jordan, and Iraq. A truce was arranged on June 11, 1948, but land designated for the new state has been seized and Jordanian troops expelled Jews from the old city of Jerusalem. When hostilities began again on July 8, the war went better for the Israelis. In its first year Israel absorbed 200,000 new immigrants; Jews who had survived the Holocaust and many who were forced to flee their homelands in the Arab nations. In time, vast numbers of Russian Jews would emigrate. Christian Arabs and others came. Today, Christians are under attack throughout the Middle East and there is, it must be said, a strange silence from Christians around the world. Attacks on Christianity here at home are met with a largely muted response. A word about the “Palestinians”; Jerusalem is mentioned more than 700 times in the canon of Jewish scriptures. It is not mentioned even once in the Koran. Mohammed never visited Jerusalem and Muslims pray with their back to it, facing Mecca. The Arabs are represented by 22 nations, but the “Palestinians” are not recognized as a nation, nor ever were a nation. The Palestinian Liberation Organization’s charter still calls for the destruction of the State of Israel, as does that of Hamas. You cannot make peace with people who want to kill you. 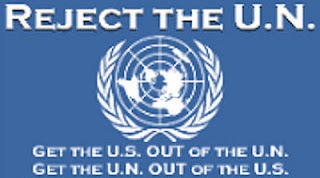 In addition to the Arabs, the United Nations has metastasized into the leading enemy of Israel, never ceasing to pass resolutions against it, maintaining the UN Relief and Works Agency decades after the first war to destroy Israel. It has the distinction of being the oldest refugee organization and all the rest of the world’s refugees since then have either been repatriated or settled elsewhere, and the “Palestinians”, as often as not, are denied citizenship in Arab nations. Israel recognizes the right of all religions to be celebrated there. It protects the sacred sites of Christians and Muslims. I do not expect peace between Israel, Arab states or Iran, and least of all with the so-called “Palestinians.” I do not expect peace between Islam and all other faiths. I expect, however, that Israel will be celebrating many more anniversaries of its independence. If Israel was to perish from a nuclear or bio-chemical attack, the whole world would need another miracle. 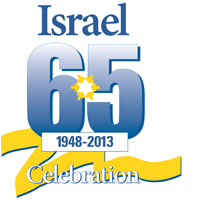 Tags: Israel, a miracle, anniversary April 16, To share or post to your site, click on "Post Link". Please mention / link to the ARRA News Service. Thanks! Sean Hackbart, Free Enterprise: One would think that a President harping on building infrastructure and creating jobs would mention a major project in his budget. However, even though President’s budget calls for an “all-of-the-above” energy strategy, the Keystone XL pipeline is not mentioned. With the only first of a series of public hearings on the State Department’s latest Keystone XL pipeline Draft Supplemental Environmental Impact Statement (DSEIS) scheduled to take place next week in Nebraska, pipeline supporters have ramped up efforts to get this critical project built. As we debate in the U.S., Canada isn’t keeping quiet. Alberta Premier Alison Redford visited Washington, DC to talk up the Keystone XL pipeline. In her fourth visit to Washington to sell the pipeline and her province’s environmental record, she warned that a rejection of the pipeline by the administration could hurt U.S.-Canada relations. According to the State Department’s estimates, during construction, Keystone XL will create 3,900 construction jobs, and 42,100 direct and indirect jobs. 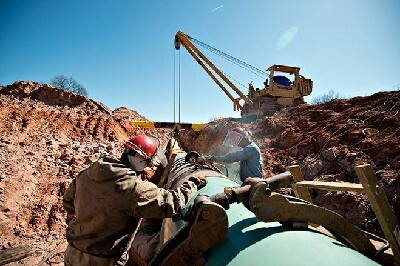 TransCanada will spend $3.3 billion on construction materials for the pipeline. American companies will supply much of this. In addition, the pipeline will continue the development of Canadian oil sands. With Canada and the United States connected economically, this continued development will support American workers who will supply goods and services to Canadian oil developers. Finally, we can’t forget the positive impact Keystone XL will have on local communities. Upon completion, TransCanada, owner of the pipeline, will be one of the largest property taxpayers in Montana, South Dakota, and Nebraska, and will pay $5.2 billion in property taxes to state and local communities. The 800,000 barrels per day of oil from Canada’s oil sands means less dependency on areas such as the Middle East and Africa and will move North America closer to energy self sufficiency. Along with Canadian oil, Keystone XL will move 100,000 barrels per day of oil produced from the Bakken region in North Dakota and Montana. This will only fuel (pun intended) the boom happening there. We’ve waited long enough. It’s time to build this important piece of energy infrastructure. How can you help get this job-creating pipeline built? Sign the petition and share it with your friends. When you're done signing the petition, read this Popular Mechanics on building the pipeline. Tags: President Obama, XL Pipeline, Free Enterprise Sean Kackbarth To share or post to your site, click on "Post Link". Please mention / link to the ARRA News Service. Thanks! 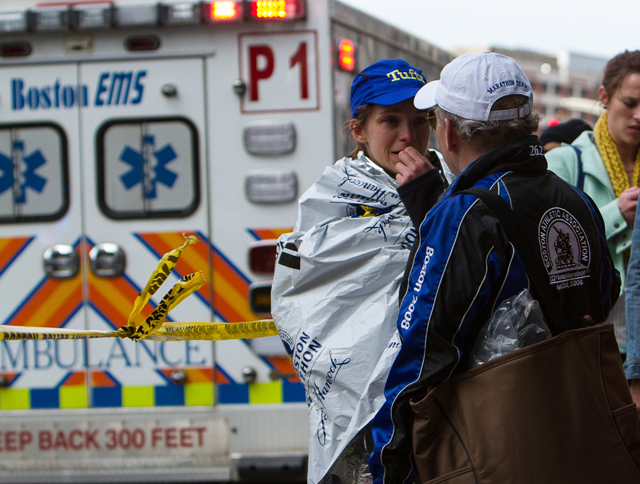 Dr. Bill Smith, ARRA News Service: Our prayers are with the people of Boston and with all of the visitors to Boston who were affected by the bombings at the Boston Marathon. Unfortunately, we note with this tragedy a double standard with the way previous domestic terrorists, former members of the Weather Underground Organization (i.e., Bill Ayers, Bernardine Dohrn, and others) who incited terrorist act in America, bombed American buildings and killed Americans, have been revered and become honored friends of those in highest office verses being repulsed by society and our leadership. However, I am trusting along with other Americans that law enforcement will sort out the truth and hopefully catch and punish the perpetrators of this action. A few comments by others. Pray also for the President of the United States and his team of advisors who must now find out who did this and take action. Tags: Boston, Boston Marathon, bombings, prayers, To share or post to your site, click on "Post Link". Please mention / link to the ARRA News Service. Thanks! by Phil Kerpen, Contributing Author: A bombshell report from the government accountability group Cause of Action reveals at least seven instances of federal tax dollars illegally funding lobbying activities for tax hikes and anti-obesity measures at the local level. The report analyzed grants issued by the CDC under the stimulus-funded so-called Communities Putting Prevention to Work Program and found "the CDC permitted and even encouraged CPPW grantees in Arizona, Alabama, Florida, Georgia, and California to violate federal law and use CPPW funds to lobby state and local governments. Internal emails, applications to the CDC outlining plans for the funds, and meeting notes blatantly show systemic corruption and use of taxpayer dollars for lobbying." This is a big deal because the program did not end with the stimulus, but was made permanent under Obamacare as the Prevention and Public Health Fund, a $10 billion slush fund available for grant-making without a vote of Congress. Perhaps most shockingly, instead of prosecuting wrongdoing and rooting our corruption, the Obama administration is actually proposing weakening the legal protections against our federal tax dollars being used to restrict our freedom and raise our taxes at the local level. Tags: government, funding lobbyists illegal, pending danger, funding gun control lobby, Kerpen, American Commitment To share or post to your site, click on "Post Link". Please mention / link to the ARRA News Service. Thanks! Today is the 100th Anniversary of the Federal Income Tax. Rep. Steve Scalise (R-LA), Republican Study Committee Chairman: Today marks the 100th anniversary of the federal income tax. Since its inception in 1913, the income tax has continued to grow in scope and complexity. A century later, hardworking American taxpayers will send the federal government $2.7 trillion this year alone. While Americans across the country file their returns and open their checkbooks to pay their taxes today, the President and his liberal lieutenants in the Senate continue to call for another trillion dollars in higher job-killing taxes over the next ten years. It's hard for President Obama to make the case that you don't pay enough in taxes when this year's $2.7 trillion marks the all-time record for the most money the federal government has ever taken in! Even after adjusting for inflation, this year’s revenue has only been eclipsed four times in our nation’s history. Washington clearly has a serious spending problem, and you can only solve it by controlling Washington spending rather than President Obama's scheme to have the IRS take more of your hard-earned money through even higher taxes. Last week the President sent Congress a budget, that includes over $1 trillion in new taxes, over $8 trillion in new debt, and yet NEVER balances. While our national debt is approaching $17 trillion, our President and his liberal lieutenants continue to ask for additional taxes so they can keep spending more and living beyond their means. The President got the higher taxes he wanted in the "fiscal cliff" deal, but yet he still refuses to agree to any spending cuts. More wasteful Washington spending, radical regulations, and costly duplication are not what the American people want or deserve, and that failed agenda is still holding the American economy back. The Obama administration refuses to take common-sense steps to rein in Washington spending, while continuing to grow failed welfare programs that jeopardize the future of our country. Republicans have passed a plan that would balance our nation's budget in ten years by growing the economy with no tax increases, while the President’s budget raises taxes, increases radical regulations, and never achieves balance. This is truly a choice of two completely different directions for our country. Increased spending and continually high unemployment numbers should not be accepted as the "new normal”. It is time to for the President to abandon his failed tax, regulate, and spend agenda and finally start working with us to grow the economy, control spending, and balance the federal budget. Tags: tax day, April 15, 100 anniversary, federal income tax, 1913-2013, presidents budget, To share or post to your site, click on "Post Link". Please mention / link to the ARRA News Service. Thanks! 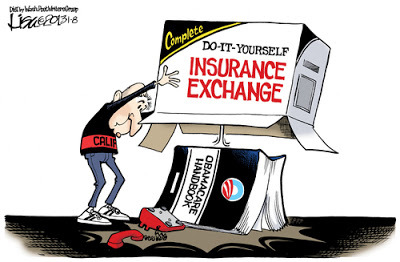 The bad news for Democrats and worse news for Barack Obama is that, since it was signed into law on March 23, 2010, Americans have had three years to learn what a total socialist time bomb Obamacare is. If you wanted to destroy the nation’s economy, you could not have chosen a better way. The crescendo of the backlash is slowly mounting. Writing in The Hill on April 6th, Sam Baker reported that “Delays in implementing popular pieces of Obamacare are hurting it with Democrats”, referring to policies they believe “could help build support for the unpopular bill.” Oh? It’s unpopular? Who knew? For example, wrote Baker, a key program designed to “help small businesses…won’t be in place when voters head to the polls next year.” It would have allowed small businesses to choose from multiple policies for their workers. Obamacare, however, is really designed to ensure that the only party from whom you can get insurance is the government. I guarantee you that no aspect of Obamacare is going to make it more popular with any but the brain-dead Democrats who remain clueless about Obamacare. When 33 Senate Democrats cast a non-binding vote, as they did in March, to repeal the law’s tax on medical devices, you can be sure that piece of political theatre was to give them cover, particularly if they will be running for reelection in 2014. 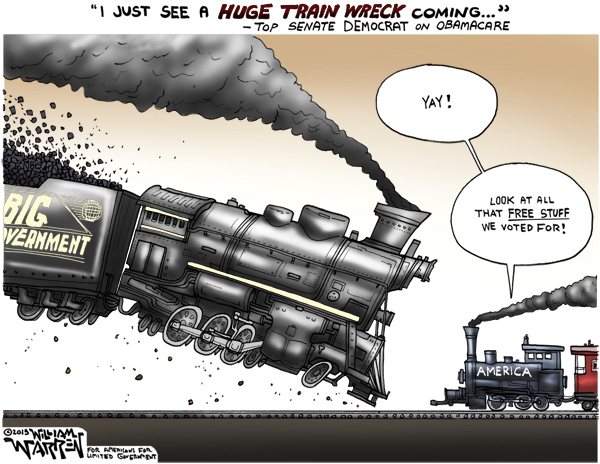 Any of the Senators who voted for Obamacare are already in serious trouble. No Republican Senators voted for it. To call Obamacare “socialist” is to do it an injustice. It is pure communism. Liberals and progressives may not be communists (some are), but they are surely the most deluded political class on planet Earth. No nation that has embraced socialism has ever enjoyed anything close to the wealth generated by the capitalism that made the U.S. an economic colossus in the last century. Now, like much of Europe, we are all deep in debt thanks to socialist programs and policies. I have previously written about Obamacare’s many pitfalls. What needs to be revisited are the many LIES that Obama told in order to get it passed. Indeed, passage required extensive arm-twisting and bribery among the Democrats who voted for it. Again, no Republicans voted for it. Simple access to medical care will become a problem as more and more physicians decide to close their private practices. About the only good news is a lawsuit filed by the Pacific Legal Foundation that contends that Obamacare is unconstitutional because the bill originated in the Senate, not the House. Under the Origination Clause of the Constitution, all bills raising revenue must begin in the House.” You’d think that Chief Justice Roberts would have known that when he cast a vote for it because he deemed Obamacare a tax. The Supreme Court needs to revisit Obamacare to redeem itself. Obamacare is the “perfect storm” for the Democratic Party. It will swamp them in 2014. Tags: Alan Caruba, warning signs, Obamacare, imploding To share or post to your site, click on "Post Link". Please mention / link to the ARRA News Service. Thanks!